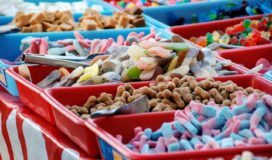 One of America’s top manufacturers of non-chocolate confections creates well-loved brands such as sour and spice hard candy and gummies. 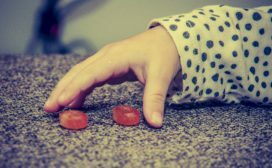 In keeping with their future-oriented, powerhouse role in the candy business, the company wanted to enhance its social presence and website functionality. After careful research, the company chose the Episerver platform for its scalability, productive and effective CMS features, and ecommerce capabilities that might be used in the future. They also chose SPR, based on positive past experiences and their custom development expertise, to help build their corporate and brand sites quickly and accurately. The project itself was red hot: the company had already committed to moving the corporate site off their current platform by a set date. The resulting 6-8 week timeframe meant SPR had to begin building assets while their design firm was still completing their designs. To top it off, the company switched design firms midway through, which led to new designs and rework of existing items that were already completed. This kind of parallel play can often cause problems – but in this case, it didn’t. Following agile practices, SPR organized the work into stories and continuously delivered features of the corporate website so they could be tested and the client could provide input. The process allowed SPR to make progress while many of the site features were still in design phase. What began for SPR as a single project – to create the corporate website – quickly grew into the implementation of multiple sites for the company’s premier brands. SPR worked closely with the company’s marketing and IT leadership and the 3rd party design firm, enabling faster builds and implementation, and handling changes and new requests on the fly. SPR took the framework and designs that the design firm created and coded the back end so that it beautifully reflected the vision. Over a period of 4-5 months, SPR and the company developed a total of 15 sites and an exceptional brand experience. From a marketing perspective, the new sites helped the company showcase their brands more effectively and control their content more easily. 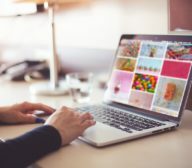 The corporate site introduced new features such as a candy locator, a consumer question/contact section, and a section highlighting the company’s community projects. Using EpiServer’s multisite capability, SPR created reusable site blocks and layouts that could also be used on specific brand sites. Best of all, SPR finished the critical project ahead of time. “They definitely exceeded expectations!” states the CIO. “We were pleased with the quality of their work, their expertise working with Episerver and in the Azure environment, and of course, their strong sense of responsibility that lead to getting the new sites up and running even sooner than hoped.” Sweeet.